This post explains you about the one popular word in the IT industry, i.e., DevOps. I have been asking a question always from our followers to write articles on DevOps. So here we go. At the end of this article, you will be able to understand the below topics. 5. How DevOps differs from SDLC? 6. Knowledge Required for Devops? DevOps is not a tool. It’s not a process. It’s not even a methodology. 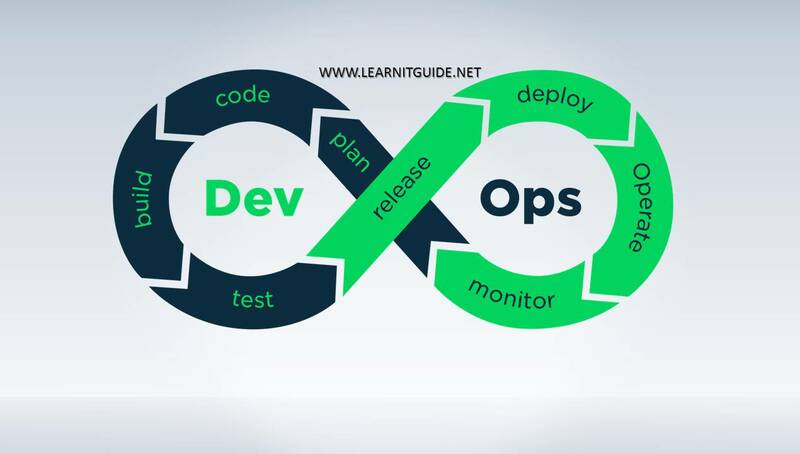 DevOps is a philosophy of the efficient development, deployment and operation, of the highest quality software possible, used in entire development lifecycle when creating and operating a service with the help of the two different professionals ie. developer and operational team(system administrator). So these guys participate together to find the better ways to be more effective for the organization throughout the entire software development lifecycle, from the design phase through the development and production phases. Because our existing principles, processes, and practices are not enough to provide the better system infrastructure in an effective manner. In the recent days, we realize that some parts of operations need to be automated, Operation team ie system administrator will do some automation in infrastructure and developers do automation in "writing “operations” code, or both. That is scary to some but is part of the value of the overall collaborative approach considering service improvement. Devops creates the collaboration and coordination between developers and operations. DevOps is a similar model like agile development. How do we achieve all the above mentioned terms.? Using some of the DevOps tools such as Git, Jenkins, Ant, Maven, Vagrant, Docker, Puppet, Chef, Ansible, Python, and Nagios. Also Watch this "Devops Introduction" Tutorial video on our YouTube Channel. How DevOps differs from SDLC? In order to understand the Devops more, we need to know about the traditional software development life cycle. • Developers write and test the codes. • Developers get the requirements about the program how the program should be from the business perspective. • Developers may use whatever language want and comfortable to design and program a piece of software. • Program will be given to a quality assurance group. • Now The quality assurance group will test the program or software to ensure it is stable and meets the requirements. • Quality assurance testers usually know little about the software development. • If they identified any issue, the program or software will be transferred back to the developers to fix the issue. These steps are repeatable until the issue is fixed. • During the testing, if they find any issue, the program or software will be transferred back to the developers to fix the issue. These steps are repeatable until the issue is getting fixed. • Next, the tested program will be given to the operation groups for installing the application. • Generally, the operations group or system administrator is responsible to provide the server with the operating system and also responsible to maintain the servers. This is how the traditional software development life cycle works. But now the modern software development life cycle is more complex. A code may be written in a language that can run on a different servers and operating systems. So A code should not have a compatibility issue and also code needs to be tested for different platforms. Here, Both Developers and Operation groups ie system administrators should have knowledge about the program compatibility. So there must be collaboration. That collaboration is called DevOps to improve the software development lifecycle or in the infrastructure area from design phase to production phase. 1. DevOps between developers and quality assurance testers increase software quality and reduce the testing time. 2. In a traditional scenario, coders don't know how an application is to be tested, and testers have little idea of the features coded into an application. Collaboration here is more valuable than just sharing job knowledge. 3. DevOps between development and operations improves the consistence of application behavior. 4. DevOps is about tools and technology. 5. DevOps tools can be used to perform collaborative tasks and also can used for automations. 6. Main goal of DevOps is to improve the quality and efficiency. Knowledge Required for DevOps ? Cloud: Knowledge about At least one cloud infrastructure is preferred from a DevOps engineer. AWS has many in-build web services dedicated to DevOps profile (e.g. Code Commit, Code Build, Code Deploy, Code pipeline) etc. Read more. Scripting/Programming Language: At least one scripting language along with shell-scripting is necessary for DevOps role. Python can fit the bill as it is easy to learn and widely adopted in the industry, and can work both for small scripts as well as full-fledged application development. Devops Tools: There are various tools available to automate the whole process of application development life-cycle. Different companies prefer different tool-stack. However one can start with the most widely accepted DevOps tools first. Such as git for source Code Management, Jenkins for build and test, chef for configuration management and AWS infrastructure for deploy. Integration Skills: Ultimately the DevOps engineer should be able to use all his expertise to integrate all the above-mentioned skills to create an environment that is fully automated and integrated. The goal should be for zero manual intervention from source code management to deployment state, i.e. Continuous Integration, Continuous Delivery and Continuous Deployment. Soft skills: At the end of the day DevOps is a culture of constant collaboration and communication among various teams responsible for Application development and delivery. So one needs to be dynamic, team-player, problem-solver and quick-learner. Jenkins is a DevOps tool for monitoring executions of repeated jobs. This extensible automation engine enables DevOps teams to integrate project changes more easily and access outputs for quickly identifying problems. Python is a widely used high-level and popular programming language for general-purpose programming. It's great as a first language because it is concise and easy to read, and it is also a good language to have in any programmer's stack as it can be used for everything from web development to software development and scientific applications. Ant is a software tool for automating software build processes, which originated from the Apache Tomcat project in early 2000. It was a replacement for the Make build tool of Unix, and was created due to a number of problems with Unix's make. Maven is a build automation tool used primarily for Java projects. In Yiddish, the word maven means "accumulator of knowledge". Maven addresses two aspects of building software: first, it describes how software is built, and second, it describes its dependencies. Still there are many tools can used to in devops to achieve the goals.